Peaceful lodge enjoying lovely views, close to Helmsley with castle and market square, Rievaulx Abbey and Castle Howard close by. Enjoying lovely country views from their verandahs and a tranquil setting, these three lodges make an excellent base for exploring the myriad delights of North Yorkshire. Set with three similar properties on a truly peaceful and friendly little site, they lie 3 miles from the market towns of Kirkbymoorside and Helmsley, which boasts a castle and seasonal open air swimming pool. Rievaulx Abbey, Castle Howard, Flamingo Land, Eden Camp and the North York Moors Steam Railway at Pickering are all within 10 miles whilst the the medieval city of York’s wealth of attractions – including York Minster, the Jorvik Viking Centre, Railway Museum and great shopping – are only 25 miles distant. Scarborough’s sandy beaches, famous theatre and seaside activities are a 40-minute drive away, and fishing, golf and walking are all enjoyed locally. 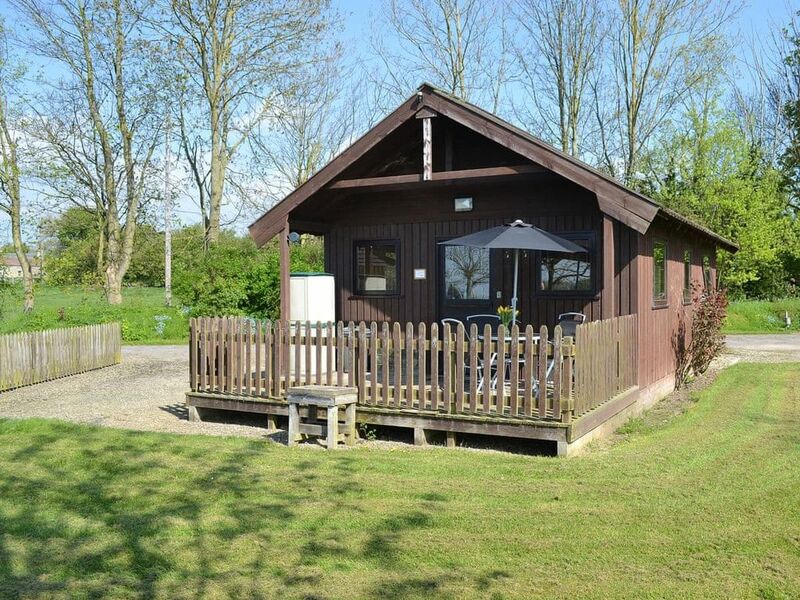 A farm shop/cafe selling local produce is 0.5 mile and a popular fish and chip shop and restaurant is 0.25 mile.Enjoying lovely country views from their verandahs and a tranquil setting, these three lodges make an excellent base for exploring the myriad delights of North Yorkshire. Set with three similar properties on a truly peaceful and friendly little site, they lie 3 miles from the market towns of Kirkbymoorside and Helmsley - which boasts a castle and seasonal open air swimming pool. Rievaulx Abbey and Terraces, Castle Howard, Flamingo Land, Eden Camp and the North York Moors Steam Railway at Pickering are all within 10 miles whilst the medieval city of York’s wealth of attractions – including York Minster, the Jorvik Viking Centre, National Railway Museum and great shopping – are only 25 miles distant. Scarborough’s sandy beaches, famous theatre and seaside activities are a 40-minute drive away, and fishing, golf and walking are all enjoyed locally. An award winning farm shop/cafe selling local produce is 0.5 miles away and a popular fish and chip shop and an Indian restaurant are within easy walking distance in the village.